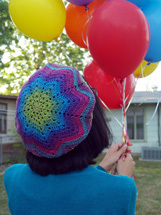 The biggest thrill that I get as a crochet designer/ author is seeing people’s projects when they take the time to make one of my patterns. I love to see what y’all come up with, it’s so inspiring! 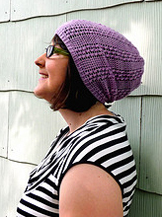 When you add your projects to ravelry, I can see the ones made with my patterns in my activity, which yeah, means I check that page multiple times a day. Today I awnted to show you some of my favorite projects of yours. 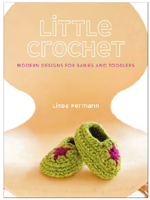 Let’s start with those from Little Crochet. 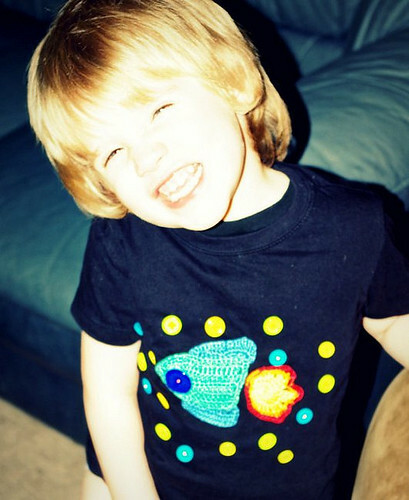 Check out Odessa’s rockin’ Spaceman Tee, made from the Tiny Tee Appliques pattern. I love the look of the round buttons here, and that adorable smile. I still need to make one of these for my nephew. 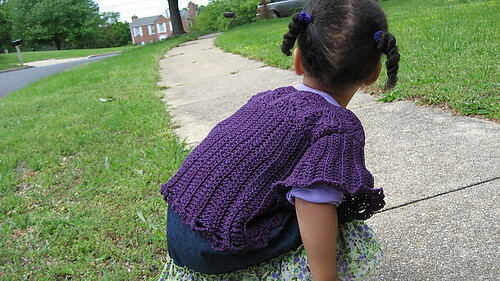 Whittni stitched up this adorable Petite Cardigan (Ribbed Cardigan pattern) with just a few minor changes. I know she worked hard on this sweater–her very first–and I was happy to help her through it. 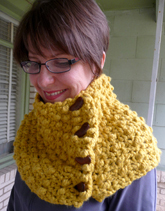 And here are some upsized Cozy Crawlers that Amy made (pattern page), by simply calculating the new gauge for her 6-year-old friend. 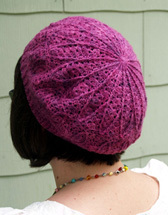 Since many of the patterns in the book are made in finer gauge yarns, more experienced stitchers can definitely upsize them by using larger yarn + hooks. 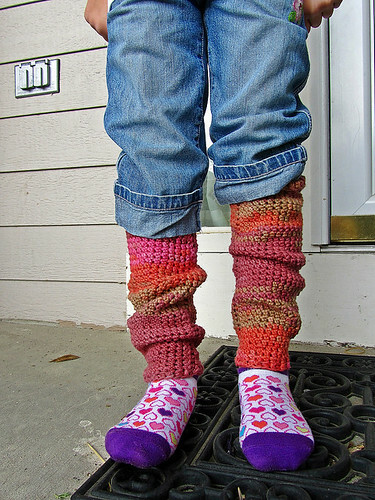 It’s very easy to do that with this pattern, and I think these cotton leggies turned out great. 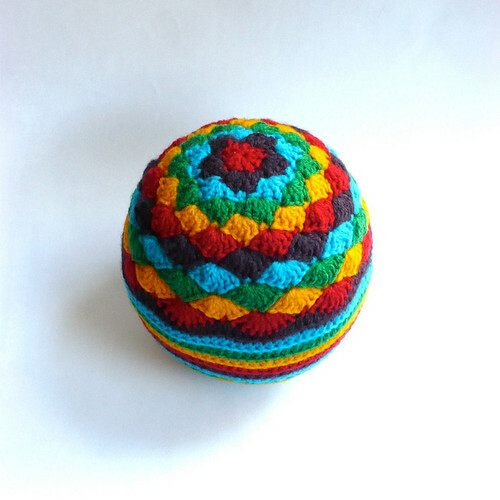 See all of the Little Crochet projects on Ravelry right here! 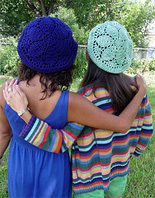 Note that you must be a ravelry member to see them, but it is free to join (and really, I don’t know how you can crochet or knit and not be on it!). 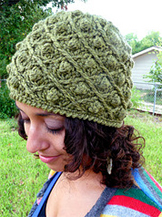 I’ve noticed more patterns popping up from Crochet Adorned, too, which is so great! 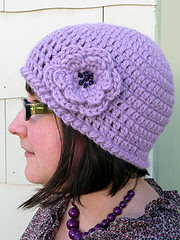 The combination of seeing these and the hot hot Texas heat of the past week has made my sewing urge kick in again. 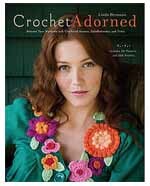 In my head, the unnofficial title for this book was “Crochet Loves Sewing”, even though there are plenty of non-sewing projects in there and a lot of the sewing is just applique. 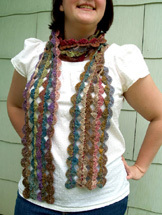 By the way, I still want to write an official Crochet Loves Sewing book, just throwing that out there to the universe. Hint. I absolutely love Kristin’s take on the Butterfly Apron. 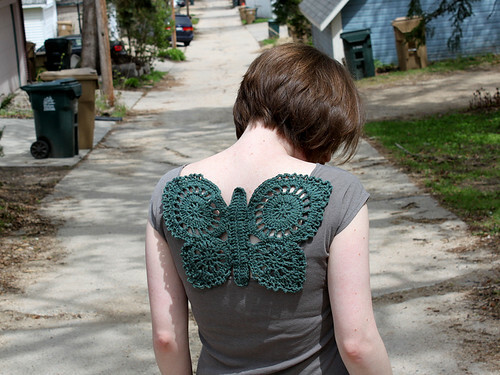 She took the applique pattern and stitched it at a larger gauge, then added it to the back of her scoop-neck tee. Brilliant! I love details like this on clothing, and especially like her choice to put it on the back of the tee. 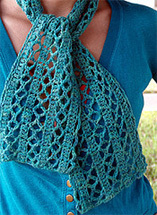 This would also be a great way to fix up a tee that hangs off of your shoulders. 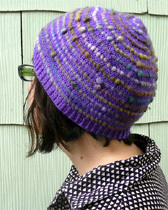 You can read more about it on her blog, Briney Deep Designs. 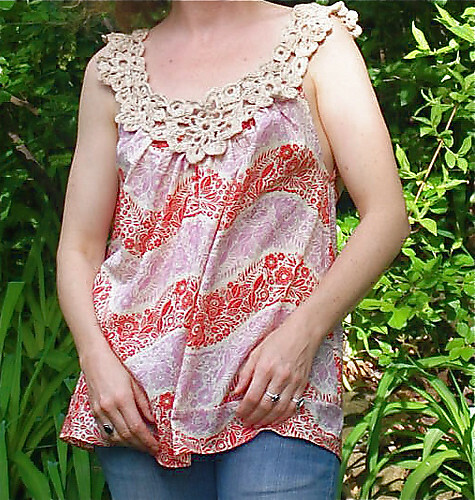 Here’s an amazing version of the Pretty Petals Tank Top by Nona. 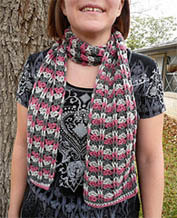 She used Little Folks voile fabric and drafted her own pattern for the shirt, rather than going with a ready made tank. It’s lovely! 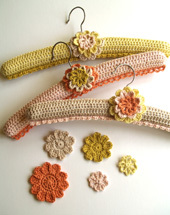 You can view all of the finished pretties from Crochet Adorned by clicking here. 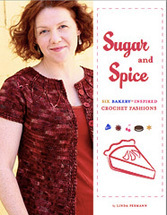 Thanks so much to everyone who shares their projects with me, and for buying my books. Enjoy! 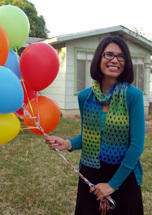 What a great celebration of your designs!